This gorgeous solid-flower heart, made of bright red carnations, reminds us all that love is eternal. 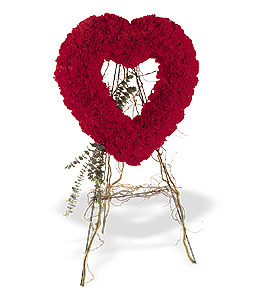 One open-center heart arrives on an easel covered with red carnations accented with curly willow and eucalyptus. Page loaded in 0.5432 seconds.